Small, flat, unobtrusive, adjustable closing force and in stainless steel – the “Piccolo” convinces all along the line. The company deconta develops, produces and sells devices, installations and custom-made solutions for rehabilitation measures with the focus on asbestos removal. 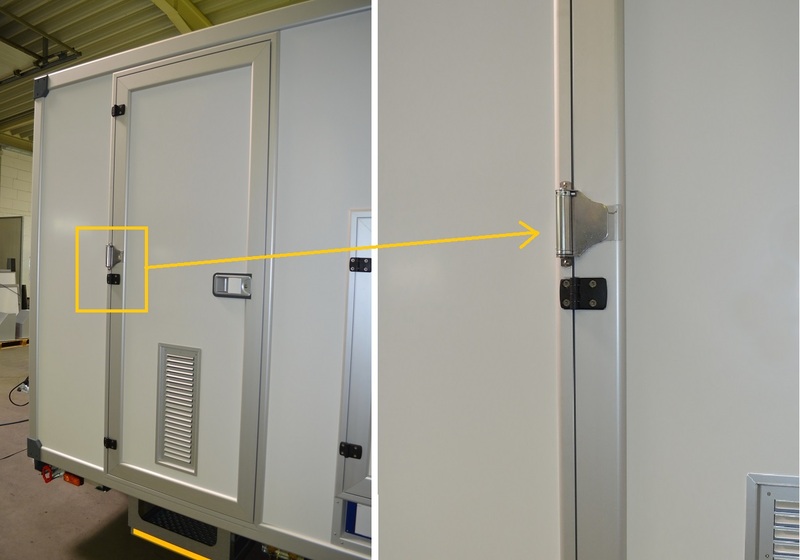 The mobile lock deco mobil C, used in jobs with asbestos, is a part of their range. Asbestos is highly poisonous and when working with it the highest safety requirements must apply. People who e.g. come into contact with asbestos when removing it, may not simply leave the dangerous area – even after having taken off the protective clothing. In fact, an extensive decontamination of the clothes and the person itself is required. deconta produces this mobile lock as a multi-chamber system in different sizes. They allow a a step-by-step transition into the contaminated area, as well as leaving the contaminated area safely, without carrying fibres out of the dirty area. The air lock is put under negative pressure to avoid asbestos fibres leaving the working area. This might happen via the exchange of air or by the transfer of fibres e.g. on work clothes. You can find detailed information on how they work here. 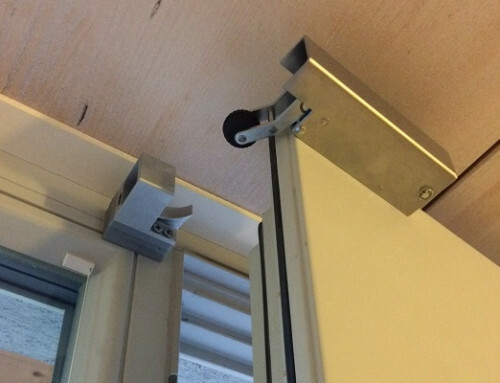 To make sure that the lock system always works properly, the access doors and also the interior door to the shower cabin always have to close automatically – because the integrated constrained locking impedes the opening of a door for as long as the others are not locked completely. Therefore, deconta was looking for a small door closer. The Piccolo closing spring convinced them, because it is small, unobtrusive and flat, and thus it is also possible to mount it on the outside of the container. In spite of its small size the closing force of the Piccolo is adjustable. It is available in AISI 304 and also in AISI 316, so that the weather outside or the steam in the shower won’t affect it. The Piccolo closing spring always closes both exterior doors as well as the door to the shower inside the container. This ensures that the decontamination interlock is permanently ready for use. The Piccolo is very flat and doesn’t stick out. Therefore it is perfectly suitable for mounting on the outside of the mobile lock. The model in AISI 304 easily withstands the influence of the weather. If necessary, the Piccolo is also available in AISI 316.